I.VA.CO. srl has recently obtained cURus certification for side channel blowers and EAC certification for the following range of products: side channel blowers, pumps and industrial fans. 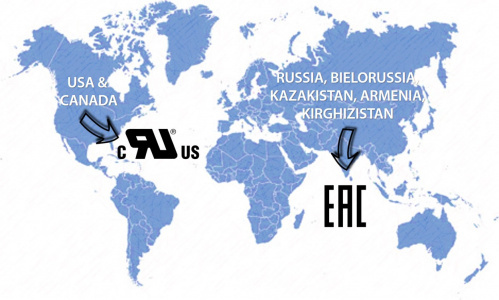 cURus homologation allows the export to the American and Canadian markets in accordance with the current norms. This conformity certification has been issued by UL (Underwriters Laboratories Inc) that tests a specimen of the products and grants their suitability to the standards related to the potential risk of fire, electric shock and mechanical hazards. cURus certification is synonymous with warranty and safety of the products.